The Iguazu Waterfalls are among the most amazing waterfalls on the planet. Do not underestimate the time you need here – allow at least 1/2 day for the Brazilian side and at minimum a full day for the Argentina side. 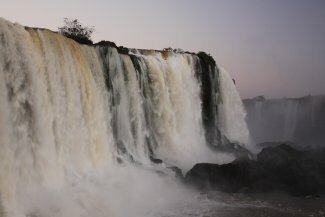 These falls are spread between the Brazil and Argentina border and extend up the Rio Iguacu several miles. The only similar waterfalls in comparison are Victoria Falls on the Zambezi River between Zambia and Zimbabwe. The massive Victoria Falls are more or less oriented in a straight line while the Iguacu Falls are at different levels and heights. 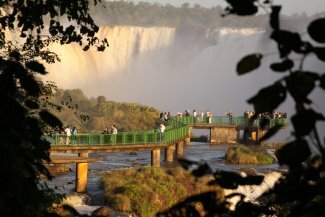 Foz do Iguacu is a mid sized city located closest to the falls on the Brazil side. It is about a 16 hour bus ride from Sao Paulo and there are a number of companies offering this trip. The main bus terminal to reach Foz do Iguacu in Sao Paulo is located at the Tiete Terminal located at the Tiete metro stop on the blue line. There are many bus companies located in this terminal offering many different trips to many destinations in Brazil – however, there are just a few companies here that offer service to Foz do Iguacu. As of mid 2009 expect to pay between $50 and $80 US dollars per seat and more for sleeper beds. Most companies leave for the falls in the mid afternoon to evening hours and arrive sometime in the morning. For reference, we used Pluma International bus company based in Brazil: www.pluma.com.br There are usually 4-5 stops made on a typical trip to Iguacu some as short as 5-10 minutes others as long as 30 minutes. At each rest stop food is served and snacks are available for purchase. You can also fly in from several destinations within Brazil although the cost will be significantly more than a bus ticket. At the time of this write-up we found round trip flights between Sao Paulo and Foz do Iguacu were running between $330 and $400 US dollars – Varig & Tam Airlines. (from research online as well as in person through travel agencies). 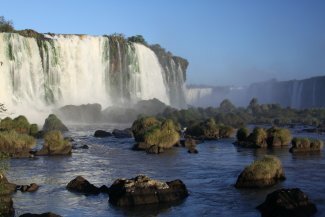 Foz do Iguacu is located in a subtropical climate with hot and humid summers and moderate winters (May through August). For reference, we visited during late June – definitely not the height of tourism season! Rainfall totals are spread out fairly evenly throughout the year. September and October are also good times to visit as there are less tourists. 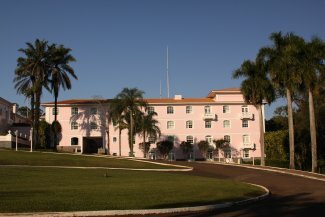 There are a number of hotels within Foz do Iguacu but only a few hostels. One hostel we highly recommend is Hostel Bambu located several blocks from the main Av. Brazil at Edmundo de Barros, 621. 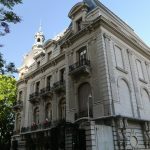 This hostel also has another location on the Argentina side. The staff is incredibly helpful and friendly – wired and wireless Internet (sporadically working) is available as well as a small shallow pool, a very nice bar, a kitchen, old weight equipment and laundry facilities. A small breakfast is included in the price; this hostel is small with several dorm rooms as well as several private rooms. The Brazil side of Iguacu Falls can be seen fairly easily by using public transportation and will take about 30-35 minutes to reach the park entrance from the main part of the city. The primary bus terminal (called the Urban Terminal) is located near the intersection of Av. JK and Av. 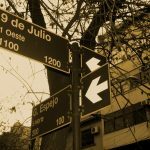 Republica Argentina – about a 20-25 minute brisk walk from the Hostel Bambu (as mentioned above). There are also several bus stops located near the hostel and around town. Enter the front of the buses and pay the fees to the attendant (unlike many bus systems there is a specific person on hand to give change). Supposedly only 20% of the viewable falls can be seen from the Brazil side – however this small percentage (compared to the Argentina side) is certainly extremely impressive. The park entrance is located mere minutes from the main airport. Purchase your tickets here; as of mid 2009 the price per person is about $11 US dollars. 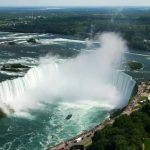 There is the paved path above the falls that wanders for about 2 km with viewing platforms and pullouts strategically located along various parts of the falls. After seeing the falls from above the path actually crosses the water in between levels of the falls so you are standing right in the middle of the water and with the falls thundering down nearby, you most certainly will get wet. The highlight of the falls on this side is the U-shaped section at the upper part of trail – this is among the most massive parts of the Iguazu falls. There are also several viewing platforms next to this section as well as a well-stocked gift shop. Boat rides up the river and into the falls can be arranged from both sides of the falls – but note that it is cheaper to arrange the boat rides from the Argentina side. These boats typically seat around 20-30 people and it is guaranteed you will get soaked. Think Splash Mountain at Disneyland and then triple the wetness! 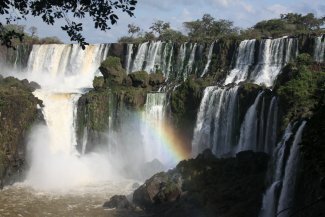 Iguazu National Park is located on the Argentina side of the falls. 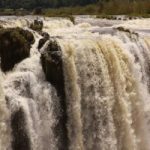 There are a number of trails here including the very popular 1 km raised walkway (Garganta del Diablo) that ends right at the most spectacular part of the falls (Devil’s Throat) – the same U shaped section that can be seen from the Brazil side. From the main park entrance you have to walk a bit to the main train which then takes you to the entrance to this trail. When the falls are full and the winds are blowing this is a good place to get soaked. The lookout platform is perched right at the edge of the falls and from here you can really feel the power of these incredible falls. Taipu Dam is shared by Brazil and Paraguay and is the world’s largest hydroelectric plant. A massive amount of concrete was used to create this dam with thousands of people working daily during the height of its construction. It provides major amounts of electricity for both countries. Two types of tours are offered. The general overview takes about an hour in which you first watch an inspiration video about the dam and its benefits and then take a bus ride along key points of the damn including below the huge turbines as well as a drive on top of the dam’s walls. A more in depth tour includes walking inside the dam as well as technical information is offered. Templo Budista is located about 1.5 kilometers from the main road that leads to the Taipu Dam. The side roads meander through neighborhoods before ending at a parking lot in front of the temple. There are good views of both Paraguay and the city of Foz do Igacu from the grass field in front of the temple. 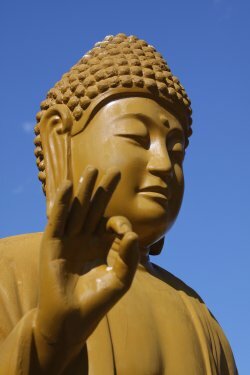 A number of yellow painted Buddha statues make good photography opportunities. There is also a small gift shop on site. There is a sign for this temple on the main road, but the road that the sign indicates you should take is significantly longer than a nearby shortcut. In the direction of the city of Foz do Iguacu about 1 km from the sign on the main road there is road next to a gas station. This road provides much more direct access than the signed road. Cuidad del Este is a border town in Paraguay just across from Brazil accessed by either walking or vehicle across the Friendship Bridge. This is an unusual border in that if you want a passport stamp you actually have to seek out immigration officials from both countries and request the stamp. 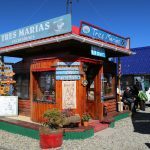 The attraction in this border town is the tax free markets including clothing, personal accessories and electronics. One major hotel is located near the falls in each country. On the Brazil side you have the historic Hotel das Cataratas and on the Argentina side you have the more mundane, Sheraton. 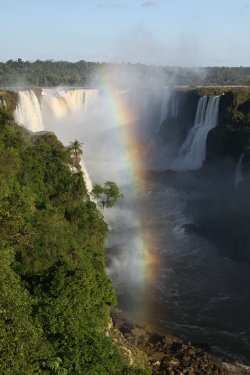 These are gorgeous photos and it makes me want to visit iguazu-falls of south-america even more! Iguazu Waterfalls are amazing. When you are in front of them you feel like paradise. I spent a wonderful weekend there. 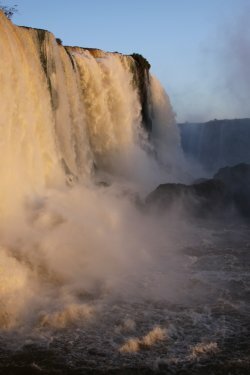 Sara – yes – Iguazu is definitely not a quick few hour stop! Have you been to Victoria Falls in southern Africa? I was there last year – those are equally impressive. Next big waterfall on the agenda is Angel’s Falls in Venezuela! We absolutely loved Iguazu, and although I know that officially the tourist food is horrible for the coatis, you couldn’t help but smile seeing all those little buggers everywhere. We did a guided hike on the Brazilian side that was overpriced, but still worth it as long as you lagged behind the group…the guide shouted the whole way through the jungle, scaring away any would-be-seen wildlife…but we slowly broke back from the group and were finally able to spot a capuchin monkey. Waterfalls are always attractive. I’ve long enjoyed their mystical properties – especially the rainbows the appear when the sunlight falls on their mists. The “mists of the waterfalls”. Any other waterfalls that are some of your favorites? I like Victoria Falls in Southern Africa – it is also comparable to the size of Iguazu. Abdul – that’s a great option I didn’t consider back in the day b/c i was on an extreme budget. Certainly would have saved time over the 16+ hour bus ride I endured with your bro. Stephen – yes, Victoria Falls and Iquazu are the two most amazing falls I’ve experienced on the planet. Angel Falls is HIGH on my to visit list. I was at Kaieteur Falls in Guyana a few months ago. Also very impressive.